Most large U.S. employers self-insure, saving up to 30% on healthcare costs. Decent helps self-employed people band together for similar savings. We launched our pilot on schedule 4/1 in Texas, with paying customers. We got the last regulatory approvals we needed on April 1st, and began to serve plan members in Austin and booked first revenue the same day. We all dug deep and feel proud of this milestone. Many people told us it was impossible to launch a health plan in under a year. We did it anyway. 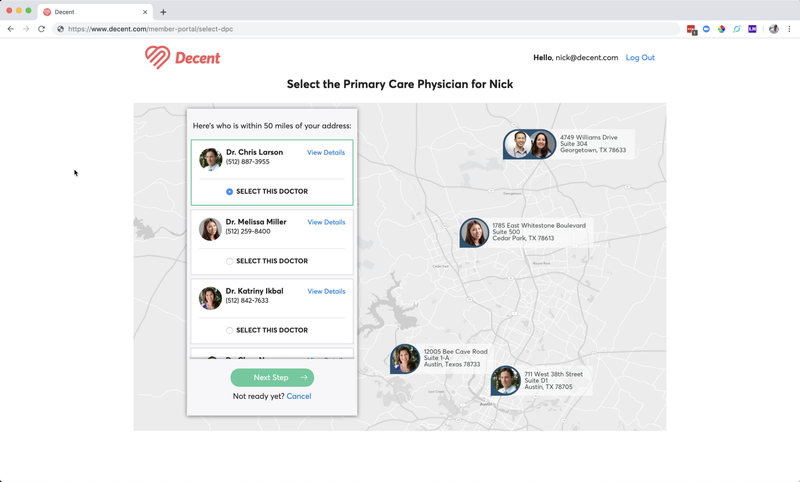 Big thanks to our investors, to our partners including Hint, Costco, and Healthcare IP, and to the DPC doctors we serve. The Department of Labor’s new rules for Association Health Plans were challenged in court last week. We’ve worked with counsel and confirmed that thankfully this won’t impact us, since our current and future operations are compatible with but not dependent on the challenged rules. Code’s in production. This team ships! Our team keeps getting stronger. Suzanne and Molly celebrated their 1 year anniversaries with Decent. 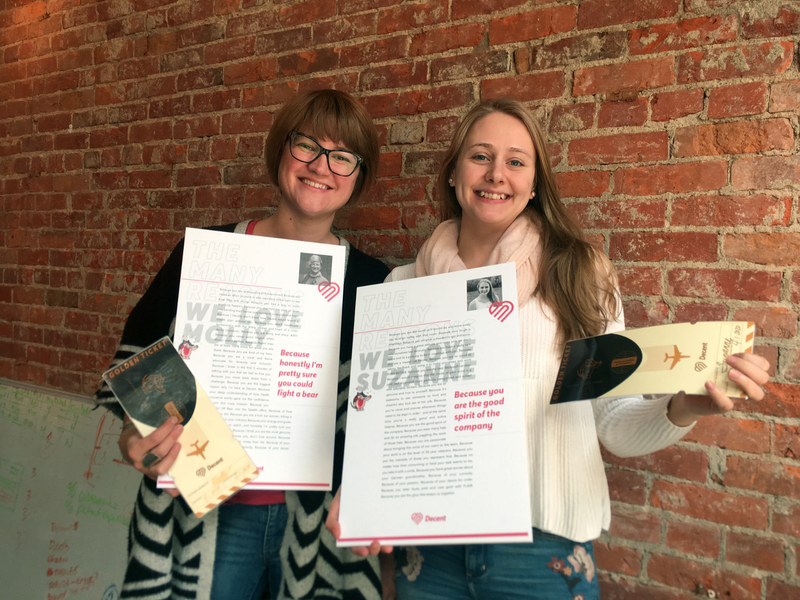 The team gave them each a poster with the many reasons we love them, along with a golden ticket for a trip anywhere in the world (h/t Gusto). There is no way we’d be here without both of these women. We hired Stacey Aikman to lead our work with brokers, and drive growth as our boots-on-the-ground in Austin. Stacey was glowingly recommended by many partners and has 20 years of benefits experience, most recently as Director of Marketing for Austin-based HMO health plan Vista360health. 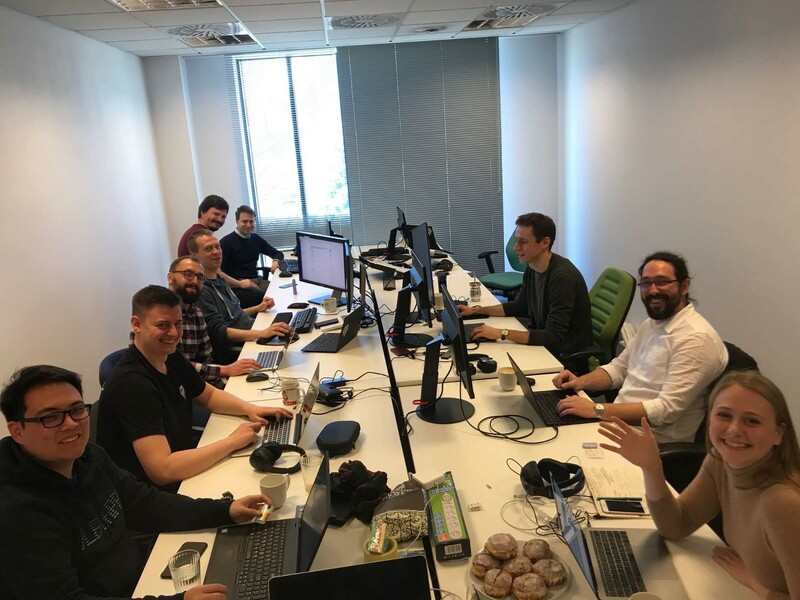 Suzanne, Shine, Sean, and Mike visited Decent’s Gdańsk office to help get launch over the line, tour castles, and eat pierogis with our Polish team. 115 pierogis were consumed later that day. We’re bullish on the long-term value of blockchain for our business. I’m now co-chair of the Insurance SIG in the Enterprise Ethereum Alliance. The SEC’s recent guidance on digital assets and securities law included 3 welcome messages for Decent: 1) scammy ICOs will no longer siphon away money and credibility from the crypto space, 2) teams who follow the law can still fundraise by selling tokens if desired, and 3) there is an increasingly clear path for tokens sold as securities to stop being securities as services become decentralized in the future. Thanks to Suzanne Scharlock, Korina Stark, and Ryan Scott. 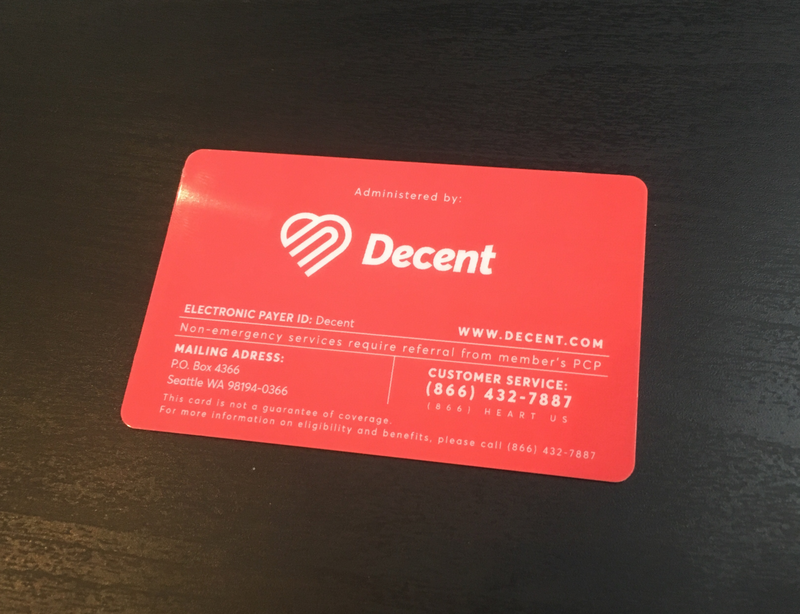 CEO of Decent (Decent.com). Affordable healthcare for all.